We all have images that we find unwatchable, whether for ethical, political, or sensory and affective reasons. From news coverage of terror attacks to viral videos of police brutality, and from graphic horror films to transgressive artworks, man of the images in our media culture might strike us as unsuitable for viewing. Yet what does it mean to proclaim something “unwatchable”: disturbing, revolting, poor, tedious, or literally inaccessible? With over 50 original essays by leading scholars, artists, critics, and curators, this is the first book to trace the “unwatchable” across our contemporary media environment, in which viewers encounter difficult content on various screens and platforms. Appealing to a broad academic and general readership, the volume offers multidisciplinary approaches to the vast array of troubling images that circulate in global visual culture. Authors Nicholas Baer, Maggie Hennefeld, Laura Horak, Gunnar Iversen, W.J.T. Mitchell, & Jonathan Rosenbaum will join us on Monday, 1/28, 6pm at the Co-op to celebrate the publication of Unwatchable. About Nicholas Baer: Nicholas Baer is Collegiate Assistant Professor in the Humanities and Harper-Schmidt Fellow in the Society of Fellows at the University of Chicago. He co-edited The Promise of Cinema: German Film Theory, 1907–1933 (2016), which won the Limina Award for the Best International Film Studies Book. Baer’s research has appeared in journals such as Cinéma & Cie, Film Quarterly, Leo Baeck Institute Year Book, Public Seminar, and October. He is also the recipient of the Karsten-Witte-Preis for best film essay of the year from the Gesellschaft für Medienwissenschaft. About Maggie Hennefeld: Maggie Hennefeld is Assistant Professor of Cultural Studies and Comparative Literature at the University of Minnesota, Twin Cities. She is author of Specters of Slapstick and Silent Film Comediennes (2018). Her articles and criticism have appeared in journals including differences, Discourse, Film History, Screen, Ms. Magazine, and Camera Obscura. She is also the co-editor of a special issue of Feminist Media Histories on “Gender and Comedy,” and co-editor of The Abject Objection (2019). About Laura Horak: Laura Horak is Associate Professor of Film Studies at Carleton University, with cross-appointments in the Pauline Jewett Institute for Women’s and Gender Studies and the Institute for Comparative Studies in Literature, Art, and Culture. She is author of Girls Will Be Boys: Cross-Dressed Women, Lesbians, and American Cinema, 1908-1934 (2016), which the Huffington Post declared one of the Best Film Books of 2016. She also co-edited Silent Cinema and the Politics of Space (2014), winner of the Society of Cinema and Media Studies Award for Best Edited Collection. About Gunnar Iversen: Gunnar Iversen is Professor of Film Studies at Carleton University and former Professor of Film Studies at Norwegian University of Science and Technology. He is the author, co-author, and editor of more than 20 books. He has published articles on Norwegian and Scandinavian cinema, documentary, early cinema, and sound culture in Film History, European Journal of Scandinavian Studies, Early Popular Visual Culture, Journal of Scandinavian Studies and others. He has also worked as a journalist. About W.J.T. Mitchell: W. J. T. Mitchell is Gaylord Donnelley Distinguished Service Professor of English and Art History at the University of Chicago. He is the author of Blake’s Composite Art (1977), Iconology (1986), Picture Theory (1994), The Last Dinosaur Book (1998), What Do Pictures Want? 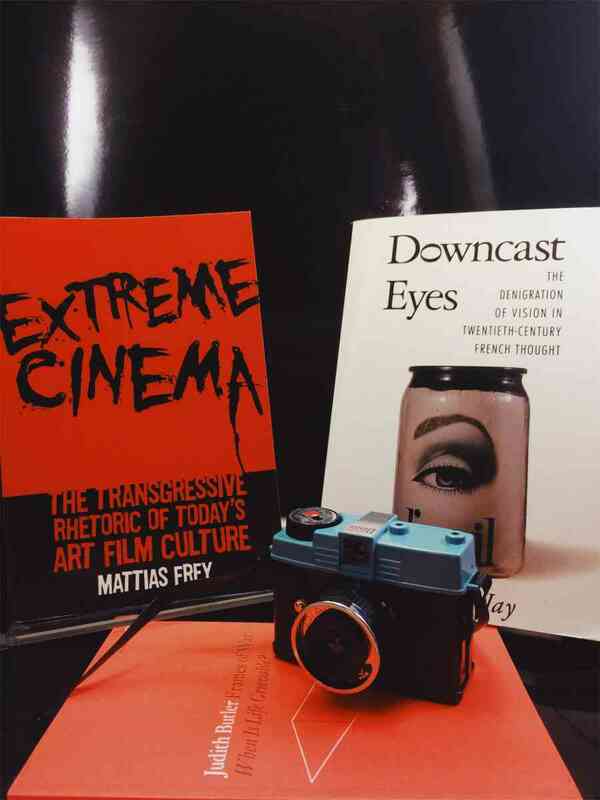 (2005), Cloning Terror: The War of Images, 9-11 to the Present (2011), Seeing Through Race(2012), Occupy: Three Essays in Disobedience (2013; co-authored with Michael Taussig and Bernard Harcourt) and Image Science: Iconology, Media Aesthetics, and Art History (2015). He has been the editor of Critical Inquiry since 1978. About Jonathan Rosenbaum: Jonathan Rosenbaum, principal film critic for the Chicago Reader from 1987 to 2008, now freelances as a writer and teacher and maintains a web site archiving most of his work at jonathanrosenbaum.net. The most recent of his books are Cinematic Encounters: Interviews and Dialogues (2018), Abbas Kiarostami (with Mehrnaz Saeed-Vafa) (expanded 2nd edition, 2018), Goodbye Cinema, Hello Cinephilia: Film Culture in Transition (2010), The Unquiet American: Transgressive Comedies from the U.S. (2009), Discovering Orson Welles (2007), Essential Cinema: On the Necessity of Film Canons (2004), and, as co-editor, with Adrian Martin, Movie Mutations: The Changing Face of World Cinephilia (2003). Tracing the rise of extreme art cinema across films from Lars von Trier's The Idiots to Michael Haneke's Caché, Asbjørn Grønstad revives the debate about the role of negation and aesthetics, and reframes the concept of spectatorship in ethical terms. The phrase "War on Terror" has quietly been retired from official usage, but it persists in the American psyche, and our understanding of it is hardly complete. Nor will it be, W. J. T Mitchell argues, without a grasp of the images that it spawned, and that spawned it. Twenty-five years after her classic On Photography, Susan Sontag returns to the subject of visual representations of war and violence in our culture today.